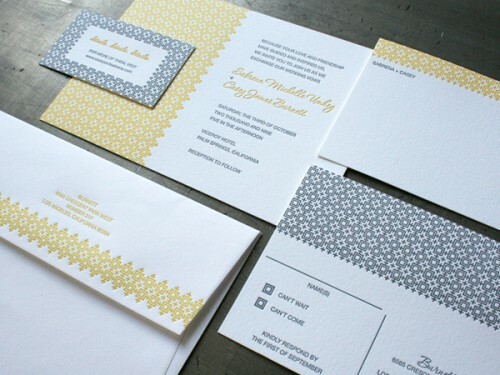 A wonderful letterpress wedding package from the crew at Studio On Fire. Designed by the groom, Osamu, the whole package leaves us drooling. Features a double pass of gold ink on white 110 lbs. Crane Lettra. Very clean design and printing execution. Delicious. 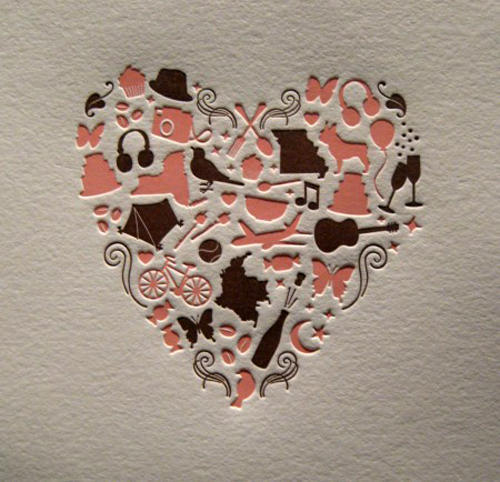 Dolce Press just released a new letterpress wedding invite designed by Sophie Nicolay. 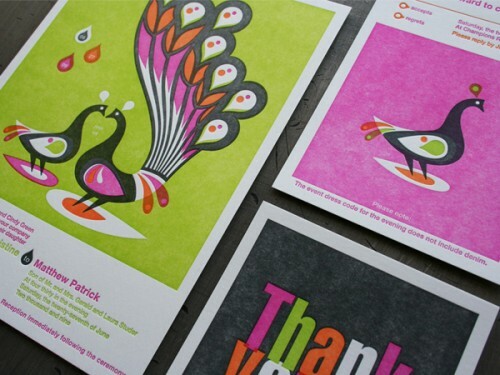 The printing, design and colors are beautiful. Printed on #110 lbs. Crane Lettra…of course. 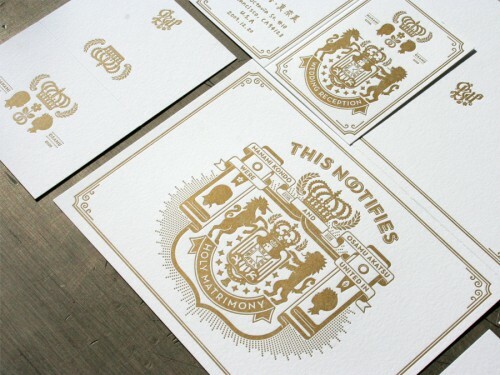 A beautifully printed letterpress wedding invitation set by Studio On Fire. Design and custom pattern by the bride, Sabrena Umhey. Printed on 110lb Crane Lettra. Awesome work by both the studio and bride. New, beautifully printed and designed, woodgrain letterpress wedding inviation designed by Nick Brue and printed by Studio On Fire. Check out more pictures here. 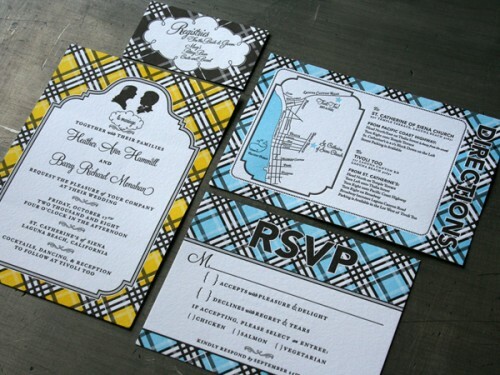 Absolutely amazing wedding invite package printed by Studio On Fire. The registration and amount of detail in the plaid design is insane. Awesome job. Illustrated by Cheeky Design. 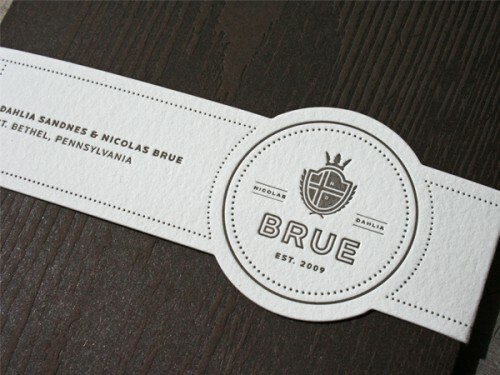 Another beautiful, competely original wedding invite by Studio On Fire. Obviously tons of work…as it shows. 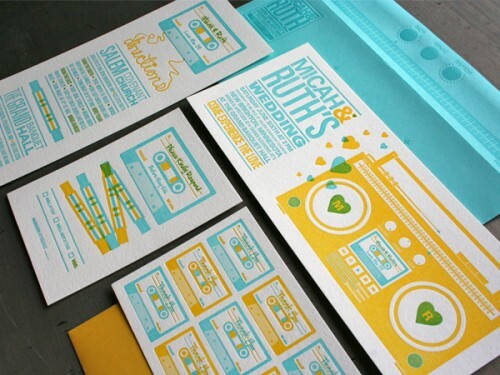 Great execution by Studio On Fire for these “Mix Tape” letterpressed wedding invites. Insane registration and great colors. Designed by Price of Design in Minneapolis.